.... Here's some food for thought: The Belzer Ruv has made one wrong political move after another. He fought the עדה החרדית till it came back to bite him and had to send 10 dayanim to ask mechillah in Kiryas Joel. The Villimsboorger Chassidim at the time of the break off started a fight, their main argument being that he is undermining a beis din that גאוני קדמאי established. Even old the Pupa Ruv was dragged in to this mess. Now, when 50% of the eidah does not follow the Eidah zali party, and the Zali Rebbe completely ignores the ראב"ד רבי משה שטערנבוך, his people throw pashkevillen against him with the worst names and epithets, and Rav Sternbuch isn't visiting him or his "payroll Rabbonim," It's not גאוני תקופאי anymore. They can be disregarded and ignored. I recall when the eidah came in 1978 (and 1988) to Williamsburg; what hype they created! Every Joe Shmoe was like in an elated mood! they celebrated non-stop! The whole eidah Rabbinate even came to Pupa to shalash seudos. Besides for Reb Moshe Arye. I think they said then there there were some issues still back from Hunyadi in the old country, involving their 2 fathers. [the ויגד יעקב was Rov there first, followed by RMA's father...] But the Belzer should have waited until the eidah's prestige dissolves on its own. He is like the בני אפרים, he chases the geulah prematurely. 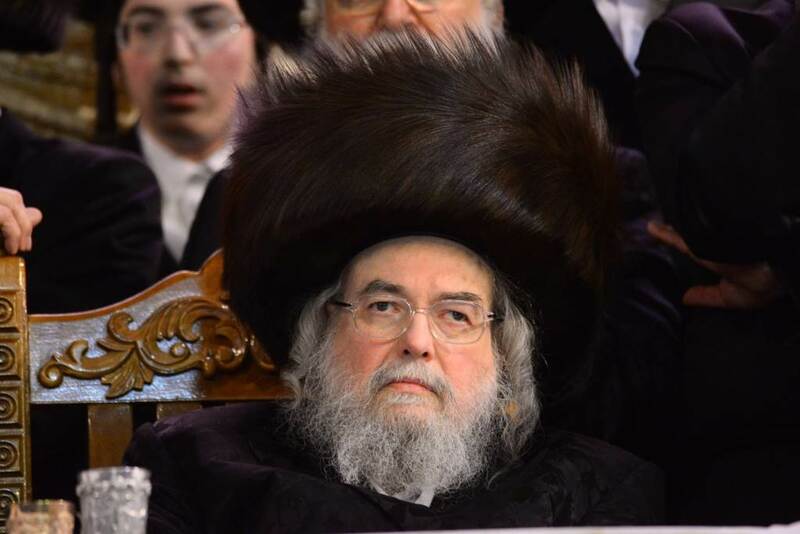 He wants prestige as a tzadik, like the Belzer Rebbes were considered universally in the past. He wants a legacy of a tzaddik, but that will, unfortunately for him, not happen. The main reason for the opposition to him in Williamsburg is not his establishment of a competing Beis Din; it is his derogatory remarks about Hungarian Kanoim, made during his "shteiediker Torah" on Simchas Torah 5742. It would take more than the crumbling of the Eida Chareidis for him to be forgiven for that! I completely disagree. He has made courageous decisions during his entire time as Rebbe. Even in the face of adversity and intense pressure (like his split from the Eida) he did what he felt was right. That is to Be commended. if only: "some food for thought"
yes, but he didn't leave, and lived long enough to witness his exorcism, unfortunately not long enough to when he rendered his mechila. Did the Divrei Joel respect his elders when he was a young buck? Lol, seems the first edition of Ami magizine has rubbed off already. I think he will be remembered as the Belzer Rebbetzins husband.